Various kinds of method that decrease the language effects have been tried for understanding the spatial cognition of hard of hearing students. 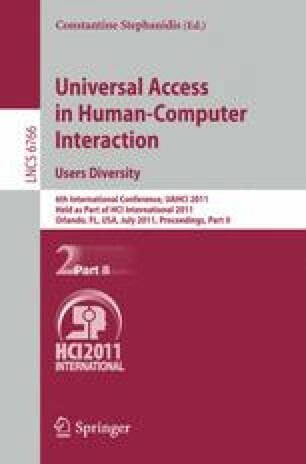 An experimental method and its application are proposed that uses a programming language in this article. The communication using a simple language and graphical interface is expected to give us a useful way for students’ understanding the question and expressing their ideas. The navigation problems in the experiments were built using the programming language. Operational indications of the subjects were described and collected using it as well. Comparable records of both hard of hearing and hearing students’ reactions were obtained and analyzed.